Start Living Younger and Stronger for Longer! Regenerative Medicine and Stem Cell Therapy are the wave of the future. We have good news to share today: the future of medicine is here. All the experts agree that stem cell therapy is the future of medicine and could even be the future of your personal health and longevity. Schedule your consultation to see get more information. 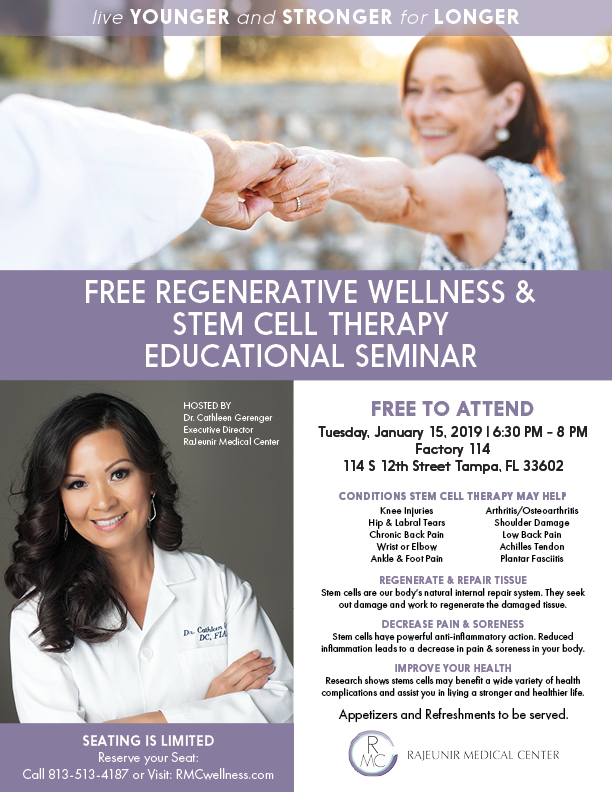 Learn more about how Regenerative Therapy is changing the future of medicine and the ways it may help you. Dr. Cathleen Gerenger has been providing safe and holistic solutions to her patients for has over 20 years. Learn more about her here.